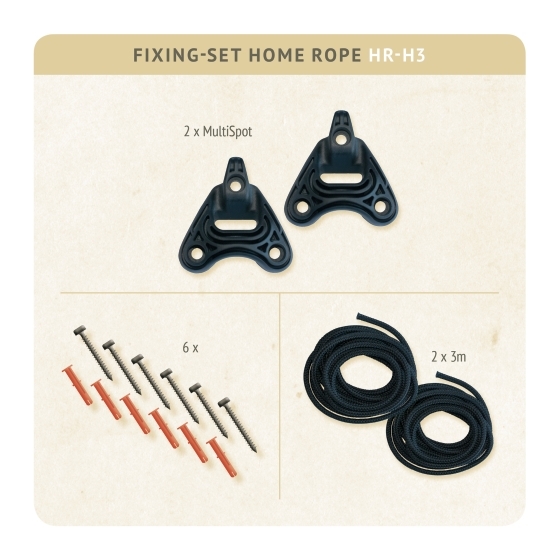 Homerope (FS5XXHomeRope) : fixing set hammock. Fixing set for quickly mounting your hammock securely to a wall, a ceiling, or a beam or combination of these. UV resistant. Weatherproof. Quick Mounting.